Area of specialization: Plant breeding, new crop development, and daydreaming. 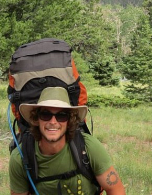 Enjoys horticulture, photography, traveling, and hiking. 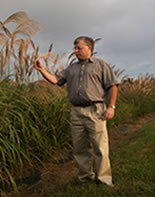 biology, bioenergy crops. Coordinates tissue culture lab and associated activities. Area of specialization: Horticulture, plant breeding, cytogenetics, databases, technology applications, engineering, and laboratory manager. Sailor, hiker, biker, and all-around Renaissance man. Area of specialization: Horticulture, plant breeding, tissue culture. 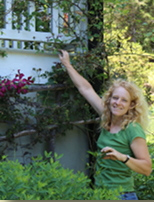 Interests in collections management and garden design. 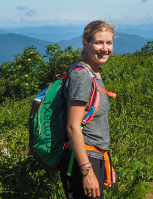 Plant geek, runner, world traveler and mom of three boys and two alpacas. Area of specialization: Horticulture, plant breeding, tissue culture, social media and out-reach. Interests in modular origami and the interaction between science and society. The intern then student has returned to us. 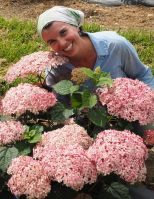 Projects: Interspecific hybridization in Hydrangea. Projects: Breeding and cytogenetics of Camellia and related genera. 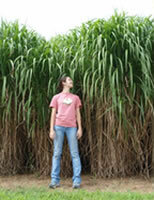 Projects: Production, breeding, and gene editing of cold-hardy sugar canes. 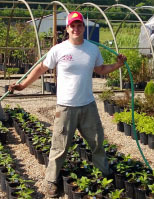 Exceptional support, for basic horticultural practices, is provided by the staff at the Mountain Horticultural Crops Research Station: http://www.ncagr.gov/research/mhcrs.htm. A million thanks. Thesis: Rooting and subsequent overwintering survival of stem cuttings of Stewartia ovata. Manuscript: Curtis, D.L., T.G. Ranney, F.A. Blazich, and E. P. Whitman II. 1996. Rooting and subsequent overwinter survival of stem cuttings of Stewartia ovata. J. Environ. Hort. 14:163-166. Thesis: Micropropagation of Stewartia pseudocamellia and propagation of selected species of Quercus by stem cuttings. McGuigan, P.J., F.A. Blazich, and T.G. Ranney. 1996. Propagation of Quercus myrsinifolia and Quercus canbyi by stem cuttings. J. Environ. Hort. 14:217-220. McGuigan, P.J., F.A. Blazich, and T.G. Ranney. 1997. Micropropagation of Stewartia pseudocamellia. J. Environ. Hort. 15:65-68. Thesis: Propagation by stem cuttings and nitrogen nutrition of containerized Cupressus arizonica var. glabra ‘Carolina Sapphire’. Stubbs, H.L., F.A. Blazich, T.G. Ranney, and S.L. Warren. 1997. Propagation of ‘Carolina Sapphire’ smooth Arizona cypress by stem cuttings: Effects of growth stage, type of cutting, and IBA treatment. J. Environ. Hort. 15:61-64. Stubbs, H.L., S.L. Warren, F.A. Blazich, and T.G. Ranney. 1997. Nitrogen nutrition of containerized Cupressus arizonica var. glabra ‘Carolina Sapphire’. J. Environ. Hort. 15:80-83. Project: Differential tolerance of holly taxa to flooding and poor drainage. Report: Ruth, C.D., T.G. Ranney, and E.P. Whitman, II. 1995. Flood tolerant hollies: Qualifiers for quagmires. Proc. SNA Res. Conf., 40th Annu. Rpt. p. 77-80. Thesis: Host plant resistance to Japanese beetles: Role of endogenous allelochemicals in plant defense. Patton, C.A., T.G. Ranney, J.D. Burton, and J.F. Walgenbach. 1997. Natural pest resistance of Prunus taxa to feeding by adult Japanese beetles: Role of endogenous allelochemicals in host plant resistance. J. Amer. Soc. Hort. Sci. 122:668-672. Patton, C.A., T.G. Ranney, J.D. Burton, and J.F. Walgenbach. 1997. Feeding responses of Japanese beetles to naturally occurring metabolites found in rosaceous plants. J. Environ. Hort. 15:222-227. Awards: 2nd Place, SNA Student Research Conference, M.S., 1996. Thesis: Host plant resistance among Malus taxa to Japanese beetle, European red mite, and two spotted spider mite. Manuscript: Fulcher, A.F., T.G. Ranney, J.D. Burton, J.F. Walgenbach, and D.A. Danehower. 1998. Role of foliar phenolics in host plant resistance of Malus taxa to adult Japanese beetles. HortScience 33:862-865. Awards: 3rd Place, SNA Student Research Conference, M.S., 1997. Thesis: Biorational plant protectants for controlling adult Japanese beetles. Manuscript: Witt, J.D., S.L. Warren, T.G. Ranney, and J.R. Baker. 1999. Biorational and conventional plant protectants reduce feeding by adult Japanese beetles. J. Environ. Hort. 17(4):203-206. Thesis: Vegetative propagation and culture of Thuja ‘Green Giant’, Magnolia virginiana ‘Santa Rosa’, and Quercus phillyraeoides ‘Emerald Sentinel’. Griffin, J.J., F.A. Blazich, and T.G. Ranney. 1998. Propagation ofThuja x’Green Giant’ by stem cuttings: Effects of growth stage, type of cuttting, and IBA treatment. J. Enivron. Hort. 16(4):212-214. Griffin, J.J., F.A. Blazich, and T.G. Ranney. 1999. Propagation of Magnolia virginiana ‘Santa Rosa’ by semi-hardwood cuttings. J. Environ. Hort. 17(1):47-48. Griffin, J.J., S.L. Warren, F.A. Blazich, and T.G. Ranney. 1999. Nitrogen nutrition of containerized Thuja x’Green Giant’. J. Environ. Hort. 17(2):76-79. Griffin, J.J., F.A. Blazich, and T.G. Ranney. 1999. Shading and IBA treatment does not improve rooting of stem cuttings of Quercus phillyraeoides ‘Emerald Sentinel’. Environ. Hort. 17(3):123-125. Project: Evaluating recovery of Cupressaceae taxa after flooding at contrasting temperatures. Manuscript: Holland, B.T., S.L. Warren, and T.G. Ranney. 2003. Evaluating recovery of Cupressaceae taxa after flooding at contrasting temperatures. J. Environ. Hort. 21(1):51-55. Dissertation: Interactive effects of environmental stresses on photosynthesis. Griffin, J.J., T.G. Ranney, and D.M. Pharr. 2004. Photosynthesis, chlorophyll fluorescence, and carbohydrate content of Illicium taxa grown under varied irradiance. J. Amer. Soc. Hort. Sci. 129(1):46-53. Griffin, J.J., T.G. Ranney, and D.M. Pharr. 2004. Heat and drought influence photosynthesis, water relations, and soluble carbohydrates of two ecotypes of redbud (Cercis canadensis). J. Amer. Soc. Hort. Sci. 129(4):497-502. Dissertation: Host plant resistance to fire blight (Erwinia amylovora) in the Rosaceae subfamily Maloideae. Manuscript: Bell, A.C., T.G. Ranney, T.A. Eaker, and T.B. Sutton. 2005. Resistance to fire blight among flowering pears and quince. HortScience 40(2):413-415. 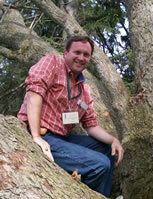 Awards: 2nd Place, SNA Student Research Conference, Ph.D., 2002; 1st Place, SNA Student Research Conference, Ph.D., 2000. Dissertation: Utilizing polyploidy for developing improved nursery crops. Olsen, R.T., T.G. Ranney, and C.S. Hodges. 2006. Susceptibility of Catalpa, Chilopsis, and hybrids to powdery mildew and catalpa sphinx larvae. HortScience 41(7):1629-1634. Olsen, R.T., T.G. Ranney, and Z. Viloria. 2006. Reproductive behavior of induced allotetraploid xChitalpa and in vitro embryo culture of polyploidy progeny. J. Amer. Soc. Hort. Sci. 131(6):716-724. Olsen, R.T., T.G. Ranney, and D.J. Werner. 2006. Fertility and inheritance of variegated and purple foliage across a polyploid series in Hypericum androsaemum L. J. Amer. Soc. Hort. Sci. 131(6):725-730. (JASHS cover). 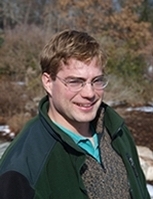 Awards: ASHS, Krezdorn Award for Excellence in Doctoral Research and Writing, 2007; 1st Place, ASHS Warren S. Barham Ph.D. Graduate Student Paper, 2005; 1st Place, SNA Student Research Conference, Ph.D., 2005; 1st Place, Southern Region IPPS, Student Research Competition, 2005; 3rd Place, SNA Student Research Conference, Ph.D., 2003. Thesis: Azaleodendrons: Investigating parentage, fertility, and effects of polyploidy among hybrids of deciduous azaleas and evergreen rhododendrons. Contreras, R.N., T.G. Ranney, and S.P. Tallury. 2007. Reproductive behavior of diploid and allotetraploid Rhododendron L. ‘Fragrant Affinity’. HortScience 42(1):31-34. Contreras, R.N., T.G. Ranney, S.R. Milla-Lewis, and G.C. Yencho. 2007. Investigating parentage and hybridity of three azaleodendrons using AFLP analysis. HortScience 42(3):740-743. Awards: 1st Place, SNA Student Research Conference, M.S., 2006; 1st Place, ASHS Southern Region Norman F. Childers, M.S., Research Competition, 2006. Thesis. Evaluation, propagation, and improvement of Gordoniae trees and an interspecific Hypericum hybrid. Meyer, E.M., T.G. Ranney, and T.A. Eaker. 2009. Differential resistance of Gordonieae trees to Phytophthora cinnamomi. HortScience 44(5): 1484-1486. Meyer, E.M., A.V. LeBude, and T.G. Ranney. 2009. Vegetative propagation of Gordonieae trees by stem cuttings. J. Environ. Hort. 27(4):191-194. Meyer, E.M., D.H. Touchell, and T.G. Ranney. 2009. In vitro shoot regeneration and polyploid induction from leaves of Hypericum species. HortScience 44(7):1957-1961. Awards: 3rd Place, SNA Student Research Conference, M.S., 2008; 1st place. SNA Student Research Conference, M.S., 2009. Thesis: Investigating prevalence, induction, and fertility of polyploid Rhododendron L. and the development of protocols for vegetative propagation. Jones, J.R., T.G. Ranney, N.P. Lynch, and S.L. Krebs. 2007. Ploidy levels and relative genome sizes of diverse species, hybrids, and cultivars of rhododendron. J. Amer. Rhododendron Soc. 61(4):220-227. Jones, J.R., T.G. Ranney, and T.A. Eaker. 2008. A novel method for inducing polyploidy in Rhododendron seedlings. J. Amer. Rhododendron Soc. 62(3):130-135. Jones, J.R. and T.G. Ranney. 2009. Fertility of neoppolyploid Rhododendron and occurrence of unreduced gametes in triploid cultivars. J. Amer. Rhododendron Soc. 63(3): 131-135. Jones, J.R., A.V. LeBude, and T.G. Ranney. 2010. Vegetative propagation of Oconee azalea (Rhododendron flammeum) by stem cuttings and mound layering. J. Environ. Hort. 28(2):69-73. Awards: 1st Place, SNA Student Research Conference, M.S., 2007; 2nd Place, SNA Student Research Conference, M.S., 2008. 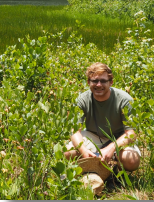 Thesis: An invasive species assessment system for the North Carolina horticultural industry. Manuscript: Trueblood, C.E., T.G. Ranney, N.P. Lynch, J.C. Neal, and R.T. Olsen. 2010. Evaluating fertility of triploid clones of Hypericum androsaemum L. for use as non-invasive landscape plants. HortScience 45(7):1026-1028. Awards: 1st place. Southern Weed Sci. Soc. Annual meeting, M.S. student presentation, 2009. Thesis: Cytogenetics, Micropropagation, and Reproductive Biology of Berberis, Mahonia, and Miscanthus. Rounsaville, T.J. and T.G. Ranney. 2010. Ploidy levels and genome sizes of Berberis L. and Mahonia Nutt. species, hybrids, and cultivars. HortScience 45(7):1029-1033. Rounsaville, T.J., D.H. Touchell, T.G. Ranney, and F.A. Blazich. 2011. Micropropagation of Mahonia ‘Soft Caress’. HortScience 46(7):1010-1014. 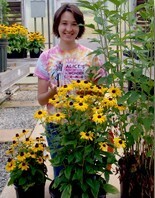 Thesis: Genetic Improvement of Rudbeckia and Evaluation of a New Triploid Campsis Cultivar. Oates, K.M., T.G. Ranney, D.H. Touchell. 2012. Influence of Induced Polyploidy on Fertility and Morphology of Rudbeckia Species and Hybrids. HortScience 47(9):1217-1221. Oates, K.M, D.H Touchell, T.G Ranney. 2013. Induced Variation in Tetraploid Rudbeckia subtomentosa ‘Henry Eilers’ Regenerated from Gamma-irradiated Callus. HortScience 48(7):831-834. Oates, K.M., T.G. Ranney, D.H. Touchell, Z. Viloria. 2014. Campsis ×tagliabuana ‘Chastity’: A Highly Infertile Triploid Trumpet Vine. HortScience 49(3):343-345. Awards: First Place, ASHS Southern Region Norman F. Childers, M.S., Graduate Student Research Competition, 2011. NCSU Outstanding Graduate Teaching Assistant Award, 2011. Research: Micropropagation and cytogenetics of Magnolia. Parris, J.K., T.G. Ranney, H.T. Knap, and W.V. Baird. 2010. Ploidy levels, relative genome sizes, and base pair composition in magnolia. J. Amer. Soc. Hort. Sci. 135(6):533-547. Parris, J.K., D.H. Touchell, T.G. Ranney, and J. Adelberg. 2012. Basal Salt Composition, Cytokinins, and Phenolic Binding Agents Influence In Vitro Growth and Ex Vitro Establishment of Magnolia ‘Ann’. HortScience 47(11):1625-1629. 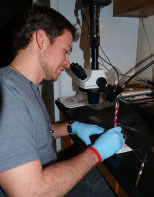 Awards: 1st place, SNA Student Research Conference, M.S., 2009; 1st place, SNA Research Conference, M.S., 2010. Thesis: Cytogenetics, micropropagation, and polyploid induction of selected nursery crops. Lattier, J.D., J.F.Harbage, M. Taylor, A. Petravich. 2008. Embryo rescue of rare Camellia azalea hybrids. 2008 Camelia Handbook, Longwood, p. 34-44. Lattier, J.D., T.G. Ranney, N.P. Lynch. 2013. History and Cytological Reassessment of Rhododendron canadense. J. Amer. Rhododendron Soc. 67(2):92-98. Lattier, J.D., D.H. Touchell, T.G. Ranney, J.C. Smith. 2013. Micropropagation and Polyploid Induction of Acer platanoides ‘Crimson Sentry’. J. Environ. Hort. 31(4):246-252. Lattier, J.D., T.G. Ranney, P.R Fantz, T. Avent. 2014. Identification, Nomenclature, Genome Sizes, and Ploidy Levels of Liriope and Ophiopogon Taxa. HortScience 49(2):145-151. 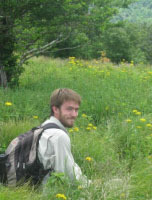 Awards: Martin F. McLaren Scholar, 2009-2010; Syngenta Glenn Goldsmith Breeding Excellence Scholarship, 2011; Horticultural Research Institute Spring Meadow Nursery Scholarship, 2011; 2nd Place, SNA Student Research Conference, M.S., 2012; First place, SR ASHS Norman F. Childers MS Student Competition, 2012. Thesis: Breeding and Evaluation of Perennial Grasses for Landscape and Bioenergy Applications. Palmer, I.E., T.G. Ranney, N.P. Lynch, and R.E. Bir. 2009. Crossability, cytogenetics, and reproductive pathways in Rudbeckia subgenus Rudbeckia. HortScience 44(1):44-48. Palmer, I.E., R.J. Gehl, T.G. Ranney, D. Touchell, and N. George. 2014. Biomass yield, nitrogen response, and nutrient uptake of perennial bioenergy grasses in North Carolina. Biomass & Bioenergy 63:218-228. Awards: 3rd Place, SNA Student Research Conference, Undergraduate, 2007; 1st Place, SNA Student Research Conference, Undergraduate, 2008; 1st Place, SNA Student Research Conference, M.S., 2012; Syngenta Glenn Goldsmith Breeding Excellence Scholarship, 2012. Thesis: Genome Sizes and Ploidy Levels in the Genus Kalmia and In Vitro Polyploid Induction of Ophiopogon planiscapus. Ranney, T. and D. Gillooly. 2014. 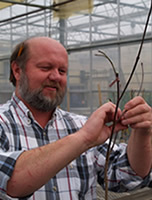 New insights into breeding and propagating magnolias. Proc. Combined Inter. Plant Propagators’ Soc. 64:441-449. Gillooly, D.A. and T.G. Ranney. 2015. Genome sizes and ploidy levels in the genus Kalmia. HortScience 50(10):1426-1428. Gillooly, D.A., D.H. Touchell, and T.G. Ranney. 2015. In vitro polyploid induction of Ophiopogon planiscapus. SNA Res. Conf., 60th Annu. Rpt. 60:181-185. 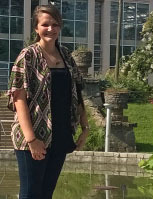 Awards: 2nd Place, SR-ASHS Norman F. Childers, M.S., Research Competition, 2014; 2nd Place, SNA Student Research Conference, M.S., 2015. Thesis: Reproductive Biology, Tissue Culture, and Taxonomy of Selected Nursery Crops. Phillips, W.D., T.G. Ranney, D.H. Touchell, and T.A. Eaker. 2015. Developing non-invasive callery pears: Fertility and reproductive biology of triploid cytotypes. SNA Res. Conf., 60th Annu. Rpt. 60:205-208. Project: Breeding new nursery crops. 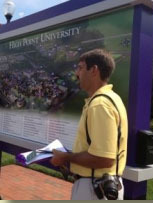 Current Position: Horticulturist, High Point University. Project: Crossability, cytogentetics, and reproductive pathways in Rudbeckia subgenus Rudbeckia. Manuscripts: Palmer, I.E., T.G. Ranney, N.P. Lynch, and R.E. Bir. 2009. Crossability, cytogenetics, and reproductive pathways in Rudbeckia subgenus Rudbeckia. HortScience 44(1):44-48. Current Position: Completed a MS program in plant breeding at NC State University. Currently a plant breeder at Garden Genetics, PA.
Project: In vitro regeneration and polyploid induction of Acer platanoides ‘Crimson Sentry’. Manuscripts: Lattier, J.D., D.H. Touchell, T.G. Ranney, and Jeremy Smith. 2013. In vitro regeneration and polyploid induction of Acer platanoides L. ‘Crimson Sentry’. J. Environ. Hort. 31(4):246-252. Current Position: Continued on to complete an MS program in plant breeding at NC State. Currently pursuing a Ph.D. program at Oregon State. Projects: 1) Interspecific and interploid hybridization among sympatric azaleas in the southern Appalachian Mountains. 2) Ploidy levels and relative genome sizes of species, hybrids, and cultivars or dogwood. Shearer, K., T.G. Ranney, R. Miller, and C. Tower. 2012. 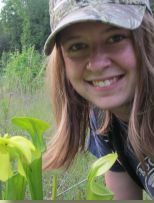 Pentanthera Webs: Interspecific and Interploid Hybridization among Sympatric Azaleas in the Southern Appalachian Mountains. J. Amer. Rhododendron Soc. 66(4): 187-197. Shearer, K. and T.G. Ranney. 2013. Ploidy levels and relative genome sizes of species, hybrids, and cultivars of dogwood (Cornus spp.). HortScience 48(7):825-830. Awards: 2nd Place, SNA Student Research Conference, Undergraduate, 2013. 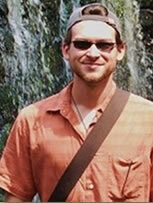 Sidney B. Meadows Scholarship, NSF-EDEN Research Award, and W. Scott and Mary Dell Chilton Award, 2013. Current Position: MS program at Oregon State University. 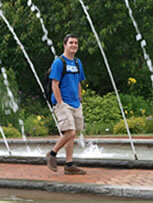 Awards: Sidney B. Meadows Scholarship, 2013. 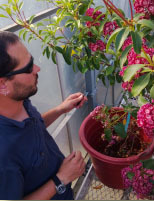 Project: Survey of ploidy levels and relative genome sizes in Kalmia sp. 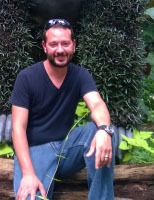 Current Position: Completed MS in horticulture at NC State University. 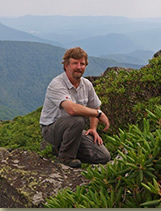 Now, is a research specialist at NC State working with Dr. Craig Yencho. Projects: Ploidy Levels and interploid hybridization in panicle hydrangea (Hydrangea paniculata). Manuscripts: Beck, W.T. and T.G. Ranney. 2014. Ploidy levels and interploid hybridization in panicle hydrangea (Hydrangea paniculata). SNA Res. Conf., 59th Annu. Rpt. 59:296-300. Current Position: Horticulturist at the Greater Des Moines Botanical Garden. 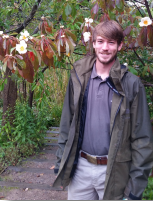 Project: Determing ploidy and relative genome sizes in Deutzia spp..
Current Position: Completed a BS at University of Georgia and the Mclaren Fellowship with the Royal Horticultural Society Interchange Program. Currently, a MS student at NC State University. Project: Influence of induced polyploidy on fertility and morphology of Hydrangea macrophylla. Current Position: MS program in horticulture at NC State University. Project: Breeding and cytogenetics of Illicium. Current Position: Completing a MS in horticulture at the University of Georgia. Project: Breeding and cytogenetics of Aucuba. Current Position: Completing a BS in horticulture at NC State University. Project: Interspecific hybridization and ovule culture in Hydrangea. 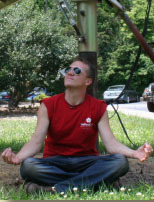 Current Position: Completing a MS in horticulture at NC State University. Project: Breeding cold-hardy pomegranates for the landscape. Thesis: Sexual propagation and micropropagation of Pieris floribunda (mountain andromeda) and initial growth of seedlings of Rhododendron maximum (rosebay rhododendron) as influenced by day/night temperature. Under the direction of Drs. Stuart L. Warren and Frank A. Blazich. Thomas G. Ranney, committee member. Dissertation: Effects of uniconazole on morphological, anatomical, and physiological development of Forsythia x intermedia ‘Spectabilis’. Under the direction of Drs. Stuart L. Warren and Frank A. Blazich. Thomas G. Ranney, committee member. Dissertation. Isolation, storage, and use of ericoid mycorrhizal fungi for improved acclimatization and subsequent growth of micropropagated Pieris floribunda. Under the direction of Dr. F. A. Blazich. Thomas G. Ranney, committee member. Dissertation: Seed germination, seedling growth, and heat tolerance of Atlantic white-cedar (Chamaecyparis thyoides). Under the direction of Dr. F. A. Blazich. Thomas G. Ranney, committee member. Related Manuscript: Jull, L.G., T.G. Ranney, and F.A. Blazich. 1999. Heat tolerance of selected provenances of Atlantic white cedar. J. Amer. Soc. Hort. Sci. 124:492-497. Dissertation: The physiology of landscape establishment of Kalmia latifolia. Under the direction of Drs. Stuart L. Warren and Frank A. Blazich. Thomas G. Ranney, committee member. Dissertation: Physiological responses of selected taxa of Salvia, Taxus, Cephalotaxus, and Syringa to heat and/or flooding. Under the direction of Drs. Stuart L. Warren and Frank A. Blazich. Thomas G. Ranney, committee member. Related Manuscripts: Lasseigne, F.T., S.L. Warren, F.A. Blazich, and T.G. Ranney. 2007. Day/Night temperature influences growth and photosynthesis of cultivated Salvia taxa. J. Amer. Soc. Hort. Sci. 132(4):492-500. 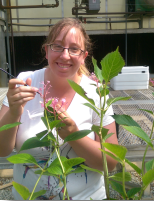 Dissertation: Characterization and expression of FLORICAULA/LEAFY homologues in Buddleja davidii. Under the direction of Dr. Dennis Werner. Thomas G. Ranney, committee member. Dissertation: Biochemical, Genetic, and Cytogenetic Studies of Stokesia laevis (Stokes Aster). Under the direction of Dr. Dennis Werner. Thomas G. Ranney, committee member. Thesis: Seed Germination of Five Populations of Rhododendron vaseyi, Ploidy Manipulation of Rhododendron ‘Fragrantissimum Improved’ and the Effects of S-ABA on the Physiology and Marketability of Various Container-Grown Taxa During Short-Term Desiccation. Under the direction of Dr. Anthony V. LeBude. Thomas G. Ranney, committee member. Area of specialization: Plant tissue culture, plant breeding and genetics.